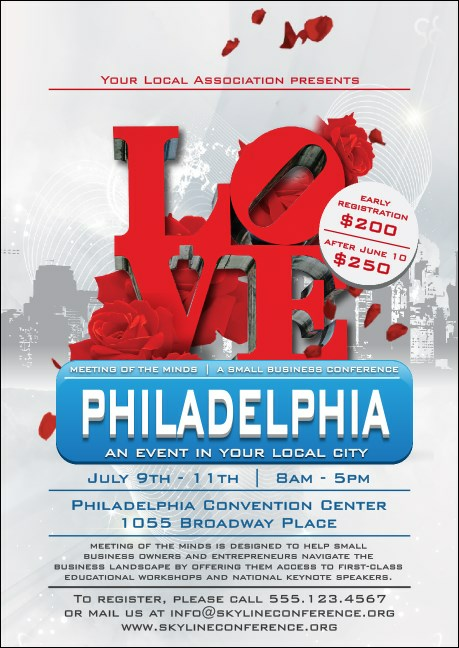 Take your advertising to the streets of the ‘City of Brotherly Love’ when you print Philadelphia Rose Postcards and send them out to your guest list in advance. These classy Postcards feature a beautiful background design with the Philly skyline in faded gray accented by the bright red LOVE sign and falling red roses. TicketPrinting.com knows sometimes it’s all about the Benjamins!